This skit is easy to stage and engages any audience. It shows what a difference a friend, a parent, a child, a professional, or a community can make, and contrasts victim-blaming with empowerment. 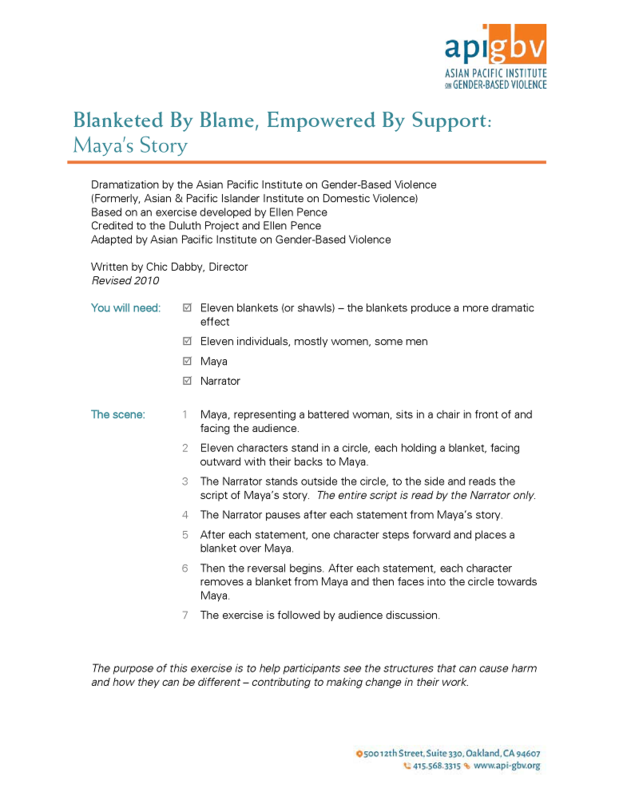 Maya’s story raises awareness about domestic violence, victim-blaming by family and community members, the difference support can make, women’s experiences of oppression and liberation, harms that everyone suffers, and empowerment. Blanketed By Blame has been used in Alabama, Arizona, Bangladesh, California, Hawai’i, Lebanon, Minnesota, Ohio, Palestine, Texas, Wisconsin. We grant permission to adapt the text, change characters, names, translate the skits, etc. 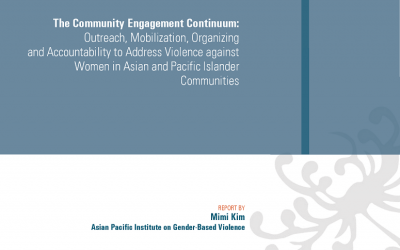 Please fully credit API-GBV and send us a copy of the adapted version. Community-based approaches to transform relations of power.